Last week the first class of SOS CV employees completed their certified instructor education. 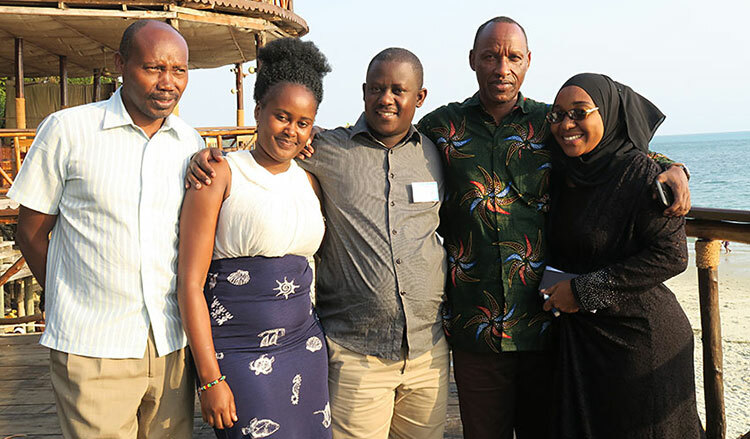 The class consisted of 16 dedicated professionals from six East African countries. They started their education in August and now they have all trained a group of foster or kinship parents or SOS Mothers in attachment-based childcare. The training has benefitted more than 600 placed children in their local communities. For the next two years, the newly educated SOS-Fairstart Instructors will continue training local groups of caregivers as a very important step in the de-institutionalization process. It has been an honor and a pleasure for Fairstart to contribute with online instructor education for SOS Children’s Villages. Congratulations to the whole class. Photo: Five SOS-Fairstart instructors at the introduction seminar in Zanzibar in August 2017.